Planning a golf holiday? Here is some information to make it easier. Follow these tips to enjoy a lot of good things to expect on your golf holiday. A golf holiday in France will provide you with the best golf experience you could ask for. All it takes is a ferry ride from the UK to your destination in France. Commutation is really cheap and convenient than flying to other European countries like Spain and Portugal. All you have to do is pack your belongings, don’t forget your golf clubs and accessories. That’s really all you need for a fantastic golf vacation. Le Golf National is the most popular spot for the French Open. Some of the greatest teams have played on this golf course. If you plan to take a vacation to France before the Ryder Cup 2018, use it wisely to experience playing golf on these famous French golf courses. Victor Dubuisson has been the latest golf sensation among the masses who has put French golf on the world map. His winning shot at The Turkish Open in 2014 was spectacular. A French golf holiday where you play at the golf courses which made these personalities the well-known stars they are now, will give you that star feeling too. French cheese, French food and French wine, you just cannot afford to miss any of them. France will prove to be the best host when it comes to these items to pamper the connoisseur in you. French people are known for its chivalry and etiquette. After a good and tiring golf session, indulging over fine food is all you need. France also has the most pleasant climate which complements a perfect golf session. Relaxing near the rivers and coastal regions in France is soothing after a heavy golf practice session. French summers and springs are the best climate for a golf holiday. Ryder Cup, France is a great platform to promote and increase the number of golf players in France. 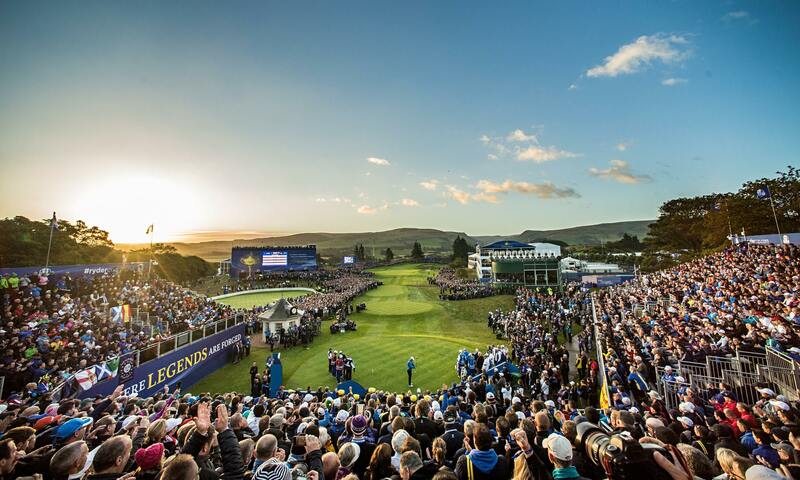 The Ryder Cup venue is one of the best venues to play golf. The French Federation is trying to build around 100 golf courses to help develop the sport. France, being able to host such spectacular events, also gets much needed foreign visitors and revenue. More and more people will visit France and this will get the country necessary media coverage.